This beautiful dresser presents mid-century modern design for your bedroom setting. Resting on tall, tapered legs, the dresser is crafted from wood veneers and solids and completed with a brown oak finish. Featuring six large, English dovetail drawers with full extension glides, the dresser also includes two top felt-lined drawers for more delicate items. The Bingham 8 Drawer Dresser with Top Felt-Lined Drawers by Coaster at Rife's Home Furniture in the Eugene, Springfield, Albany, Coos Bay, Corvallis, Roseburg, Oregon area. Product availability may vary. Contact us for the most current availability on this product. Handles & Hardware Black Silver finish knobs. Case Detail Tall tapered legs. Storage Six large English dovetail drawers with full extension glides. Two top felt-lined drawers. Case Construction Asian hardwood, Poplar and White Oak veneers. The Bingham collection presents exceptional mid-century modern designed furnishings for your bedroom space. Featuring English dovetail drawers with full extension glides, felt-lined top drawers, tapered legs and a button-tufted upholstered headboard and footboard, the pieces showcase accommodating function and beautiful style. Add a touch of contemporary flavor to your home with these mid-century modern furnishings. The Bingham collection is a great option if you are looking for Mid-Century Modern furniture in the Eugene, Springfield, Albany, Coos Bay, Corvallis, Roseburg, Oregon area. 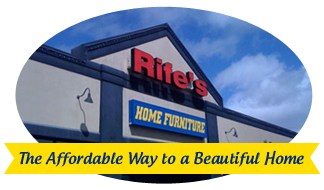 Browse other items in the Bingham collection from Rife's Home Furniture in the Eugene, Springfield, Albany, Coos Bay, Corvallis, Roseburg, Oregon area.